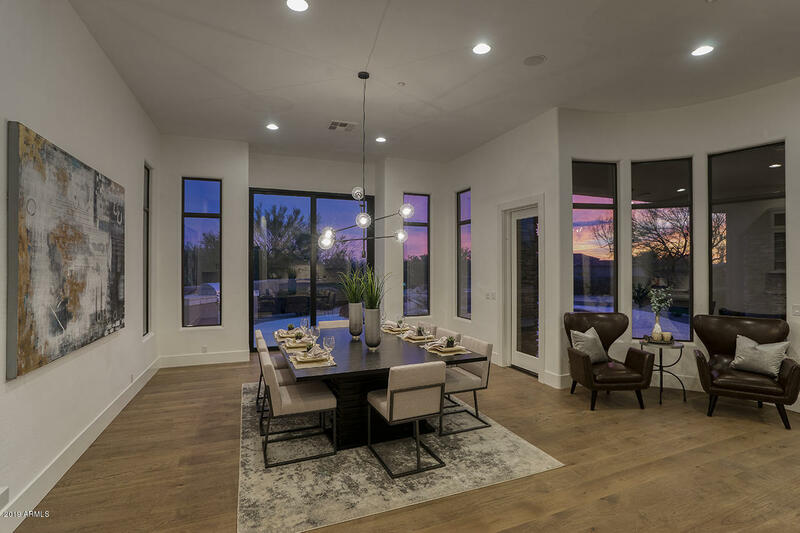 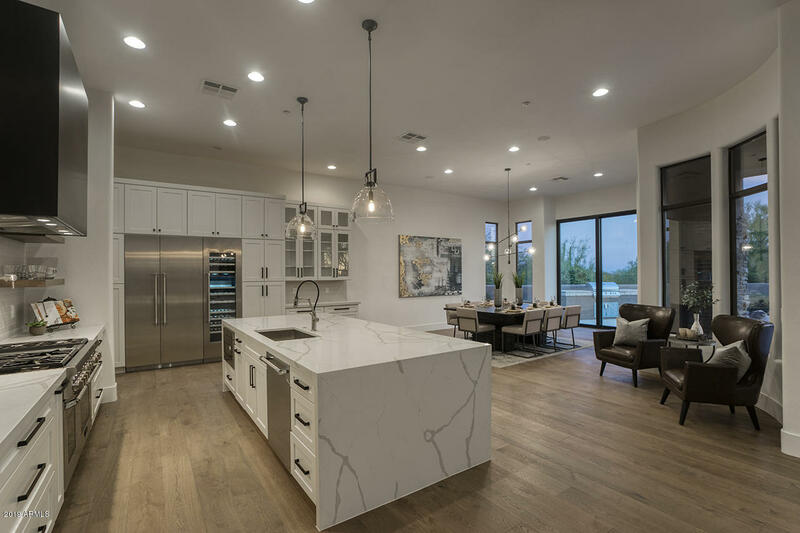 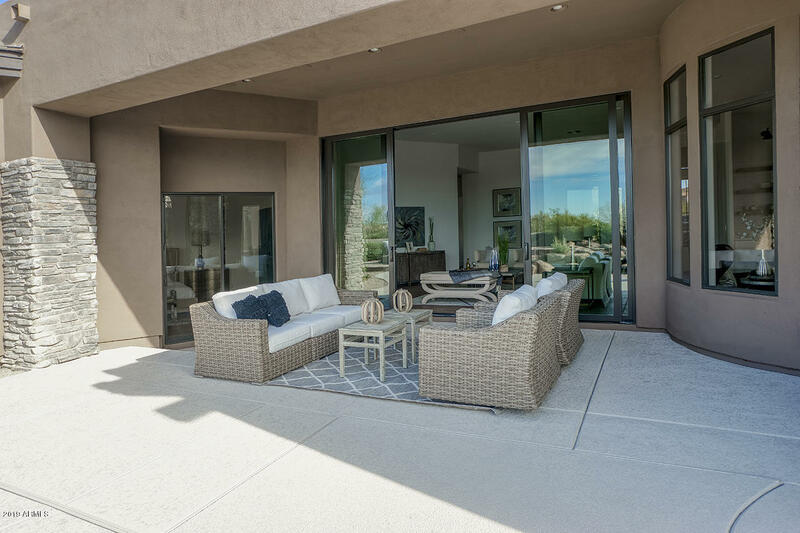 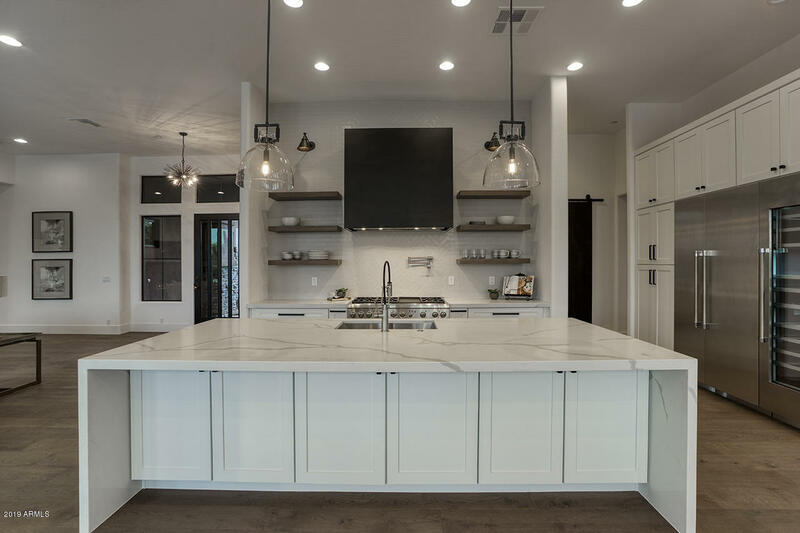 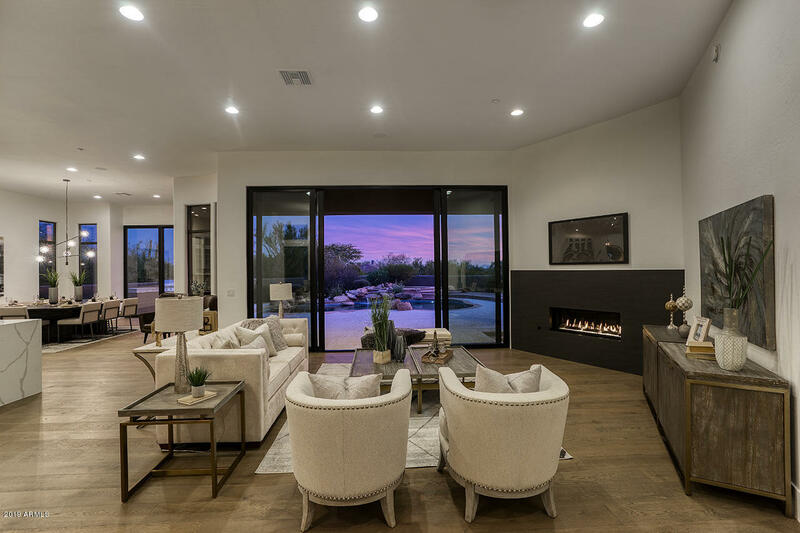 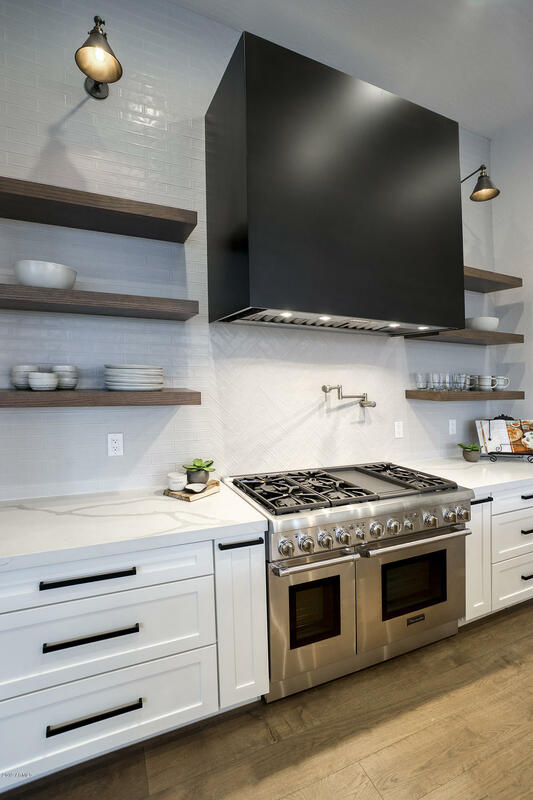 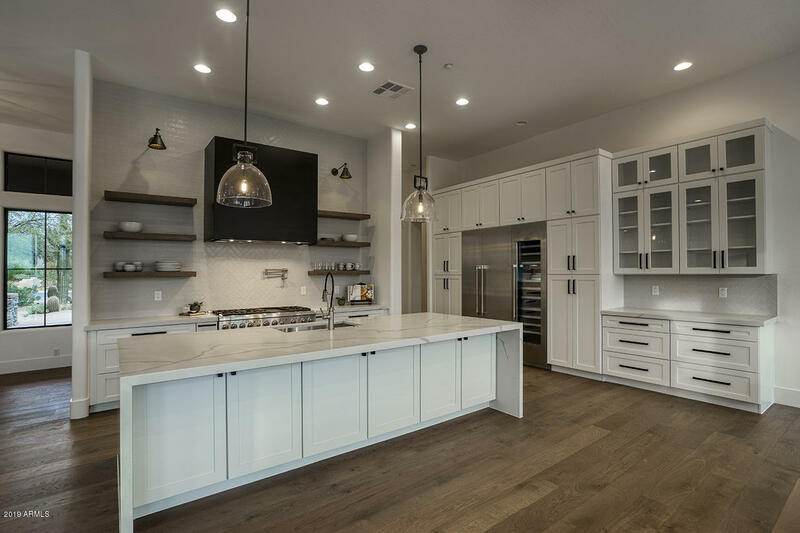 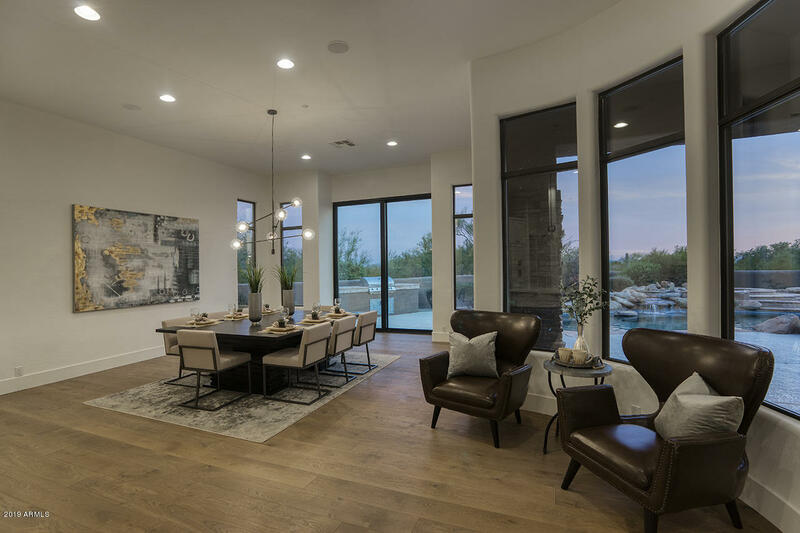 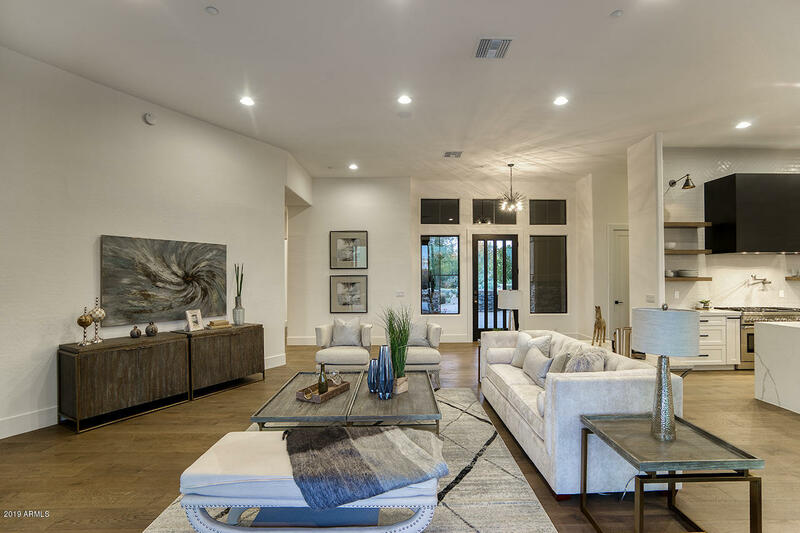 Modern statement features throughout include stylish wide plank wood flooring, Linear remote fireplace with European influenced Neolith fireplace surround, transitional current lighting, polished plumbing and cabinet hardware, fresh new paint inside and out. 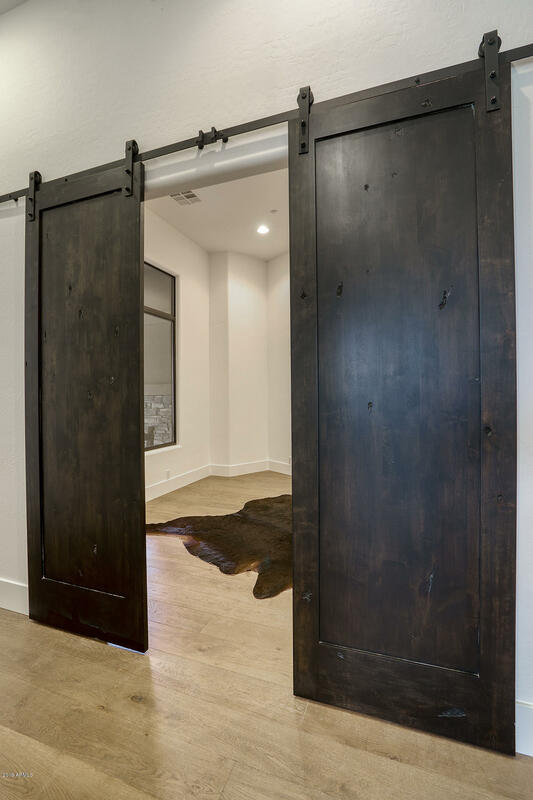 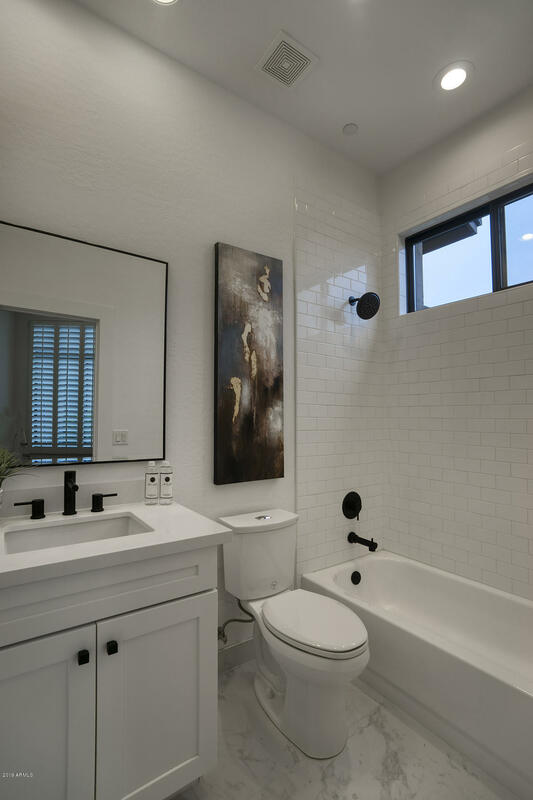 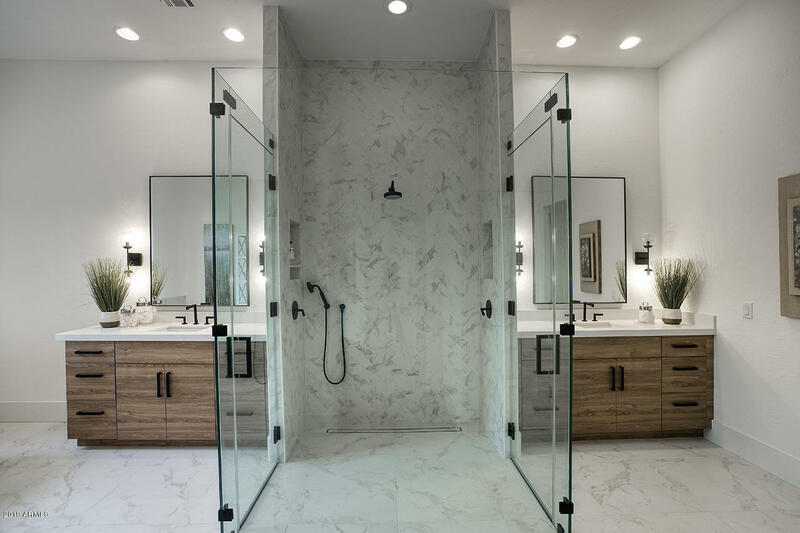 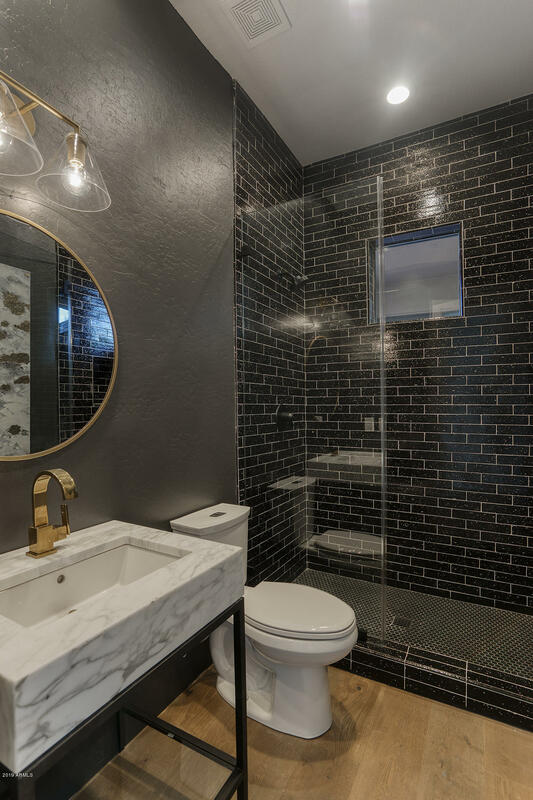 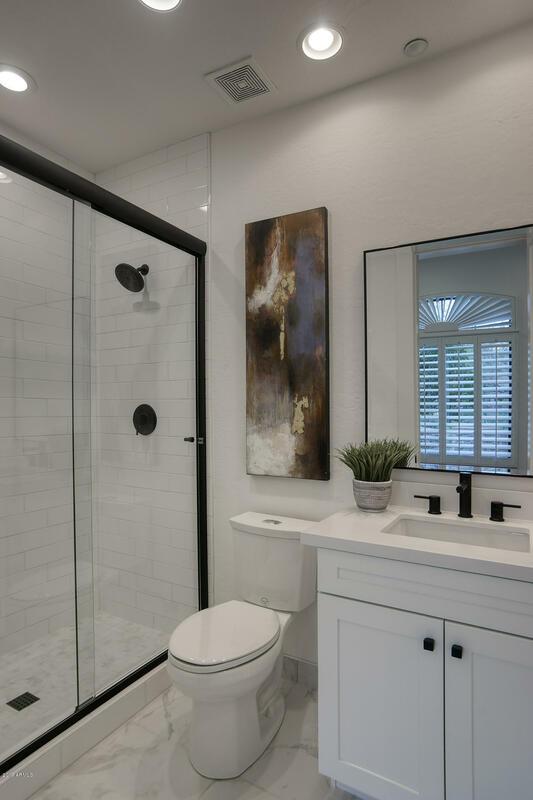 All new interior wood doors, and clean line baseboards, guest bath with new RH washstand with forged brass fixtures, and full shower with striking tile surround. 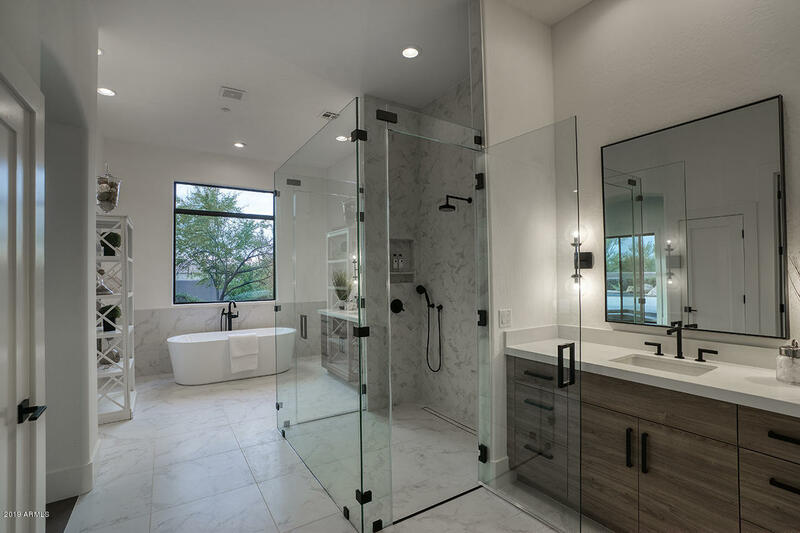 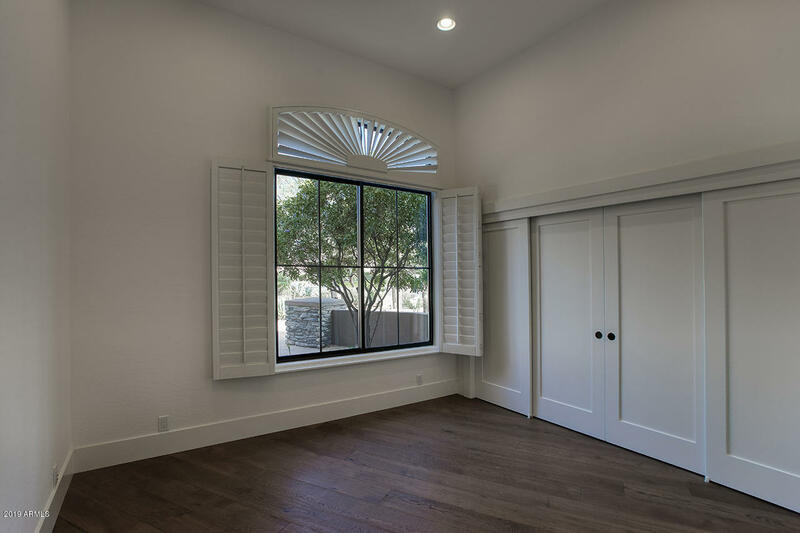 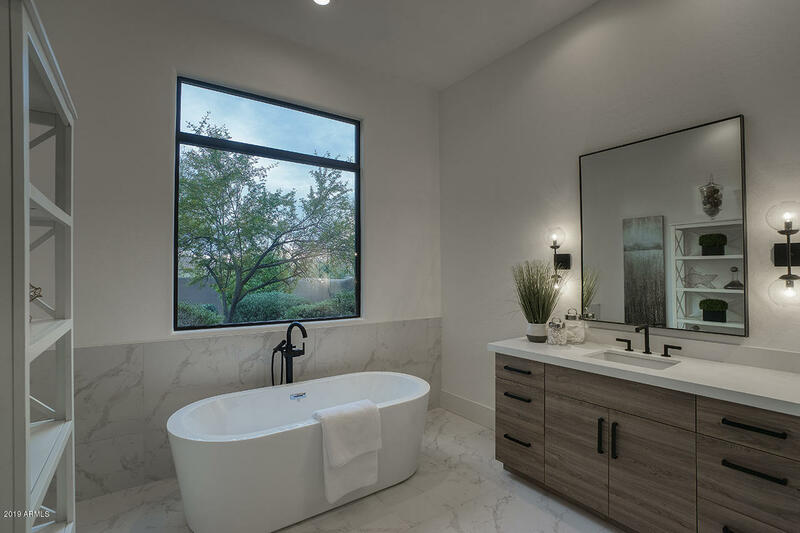 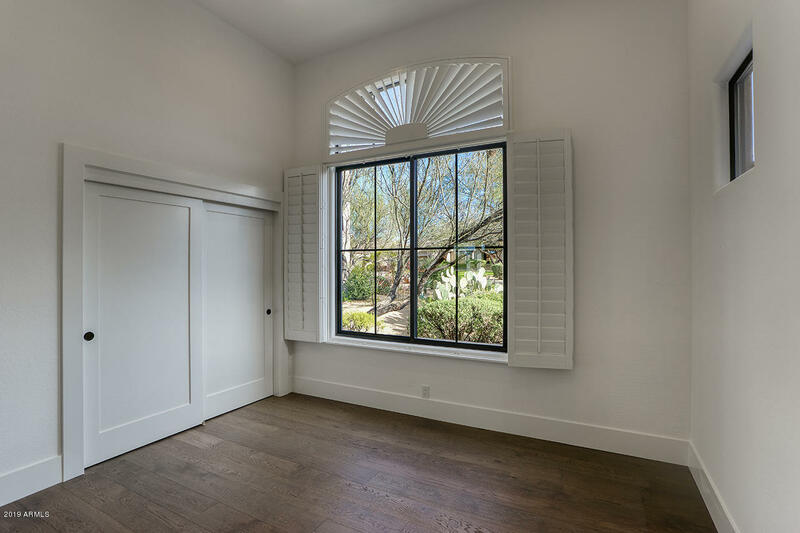 Posh master suite with generous natural light opens to backyard with all new master bath, features custom cabs, free standing tub, and shower surround master shower with linear drain, two door entry and striking glass to floor surround. 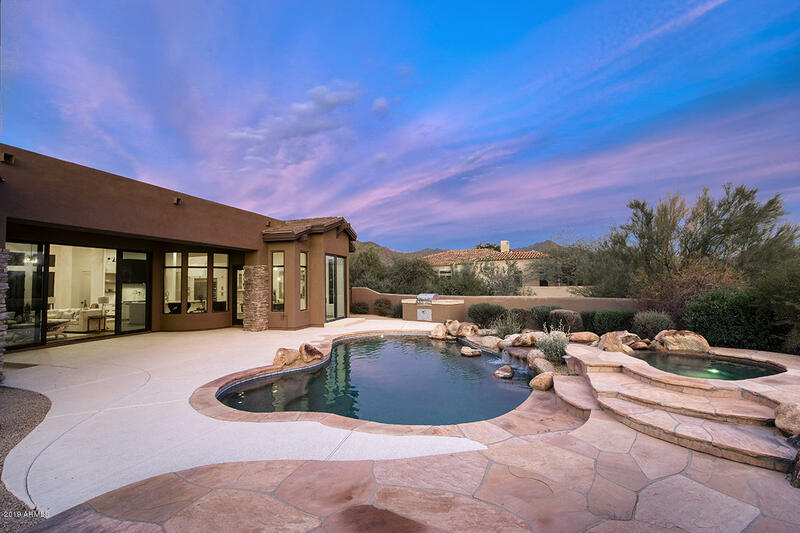 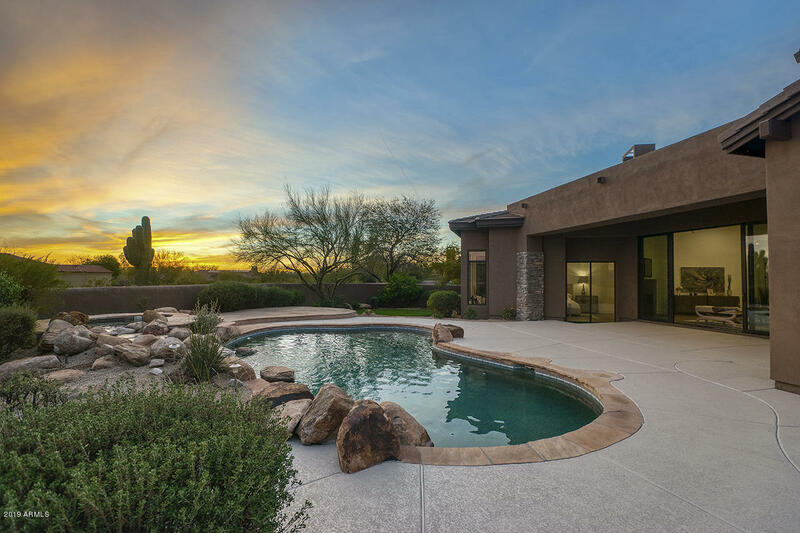 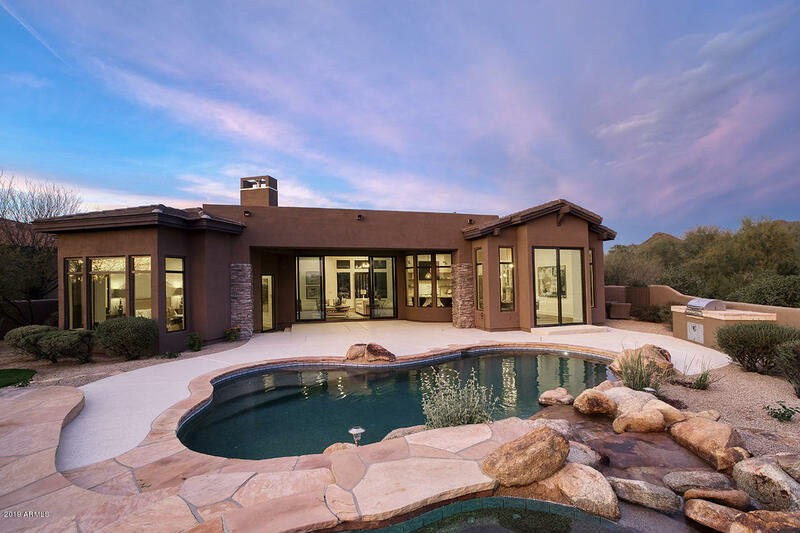 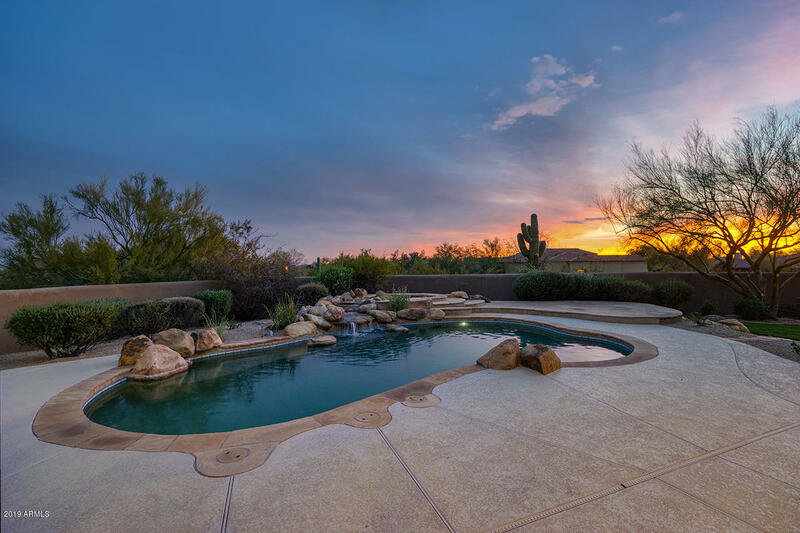 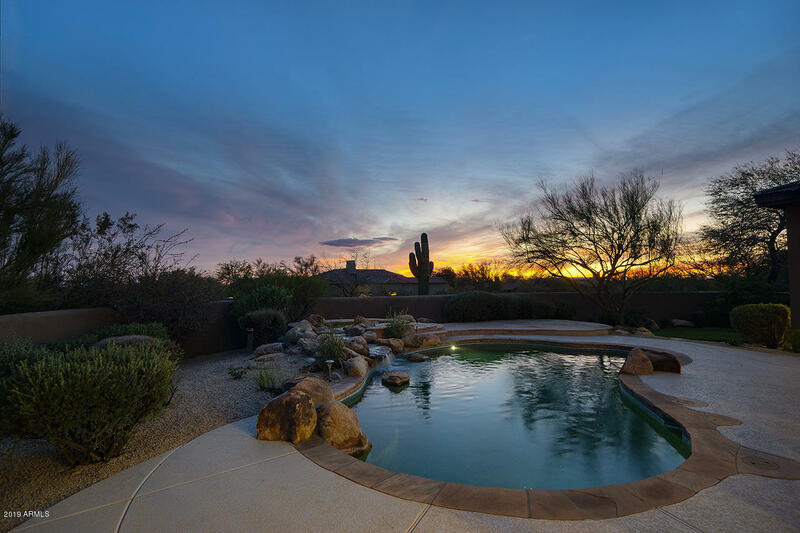 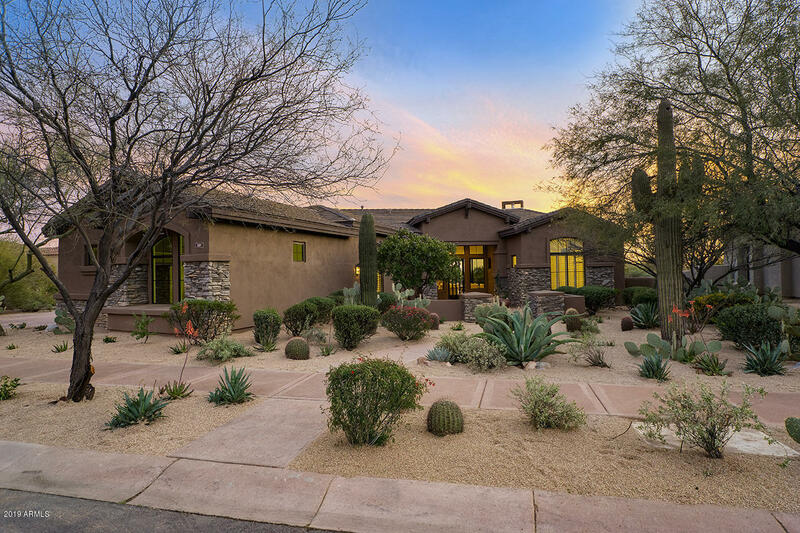 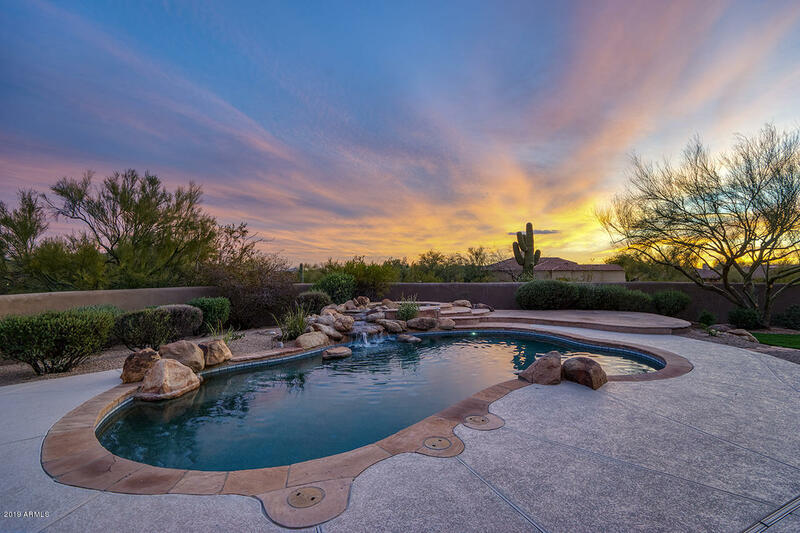 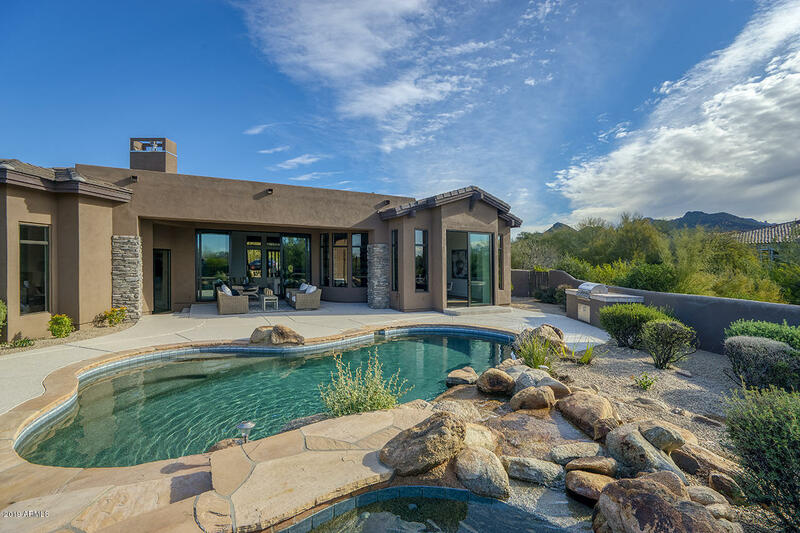 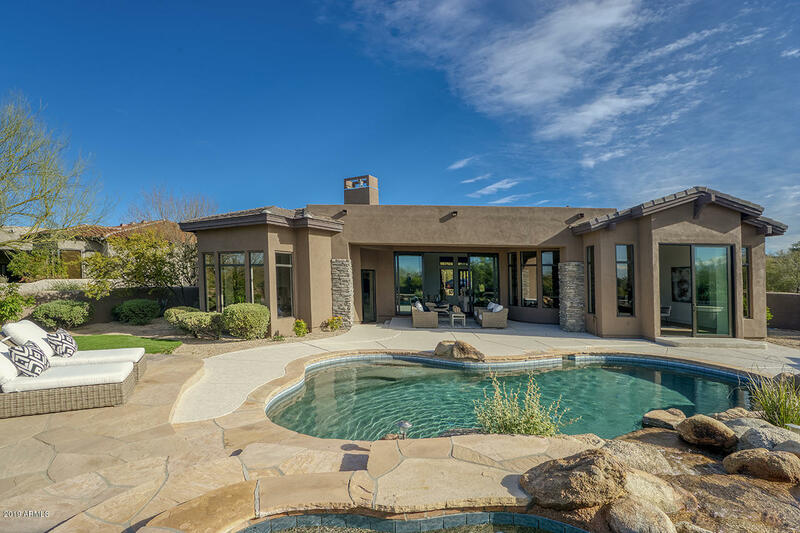 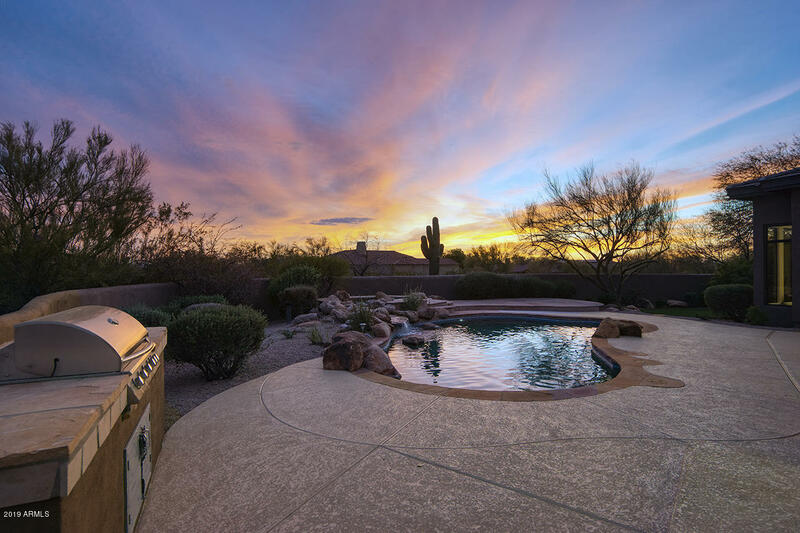 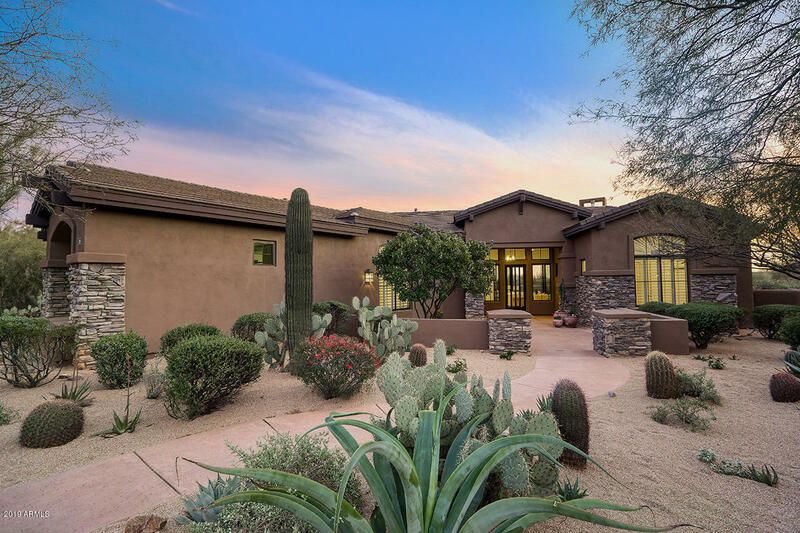 Enjoy scenic sunsets and mountain views in this desirable south facing private backyard with pool, spa, covered patio, ample deck for lounging, grassy area and BBQ island. 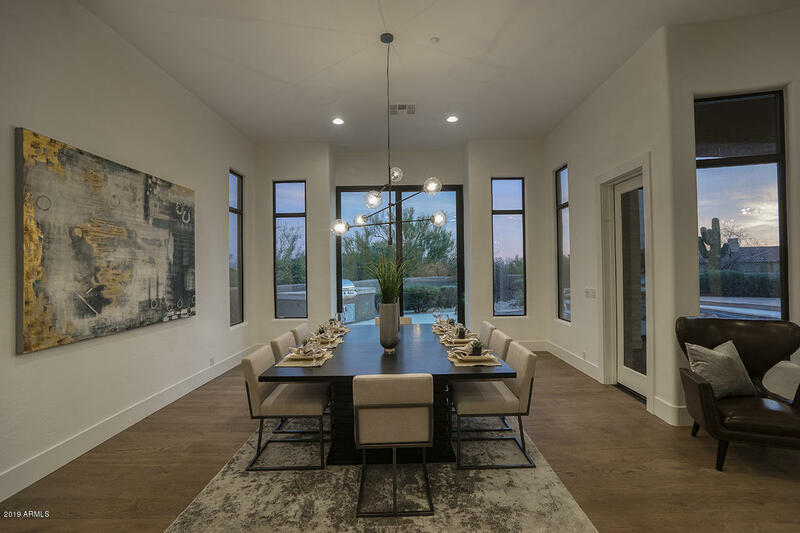 In the heart of DC Ranch, only minutes from DC Ranch Country Club and golf course, community walking trails and community center, and Market Street restaurants and shops. 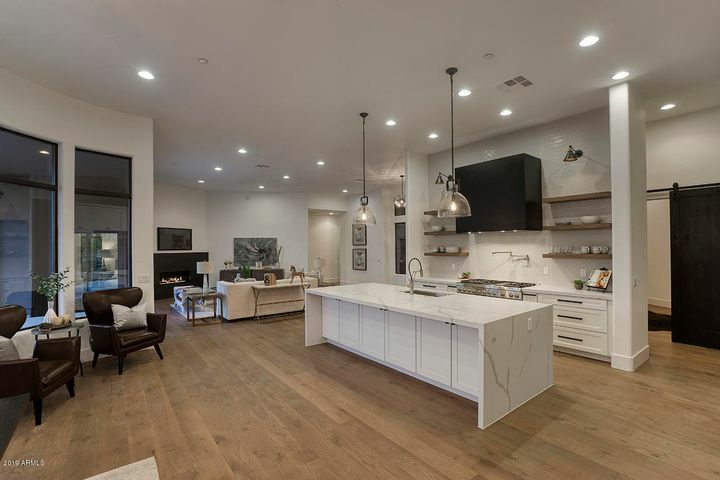 Renovated with experience with top of the line refined finishes...ready for move in!